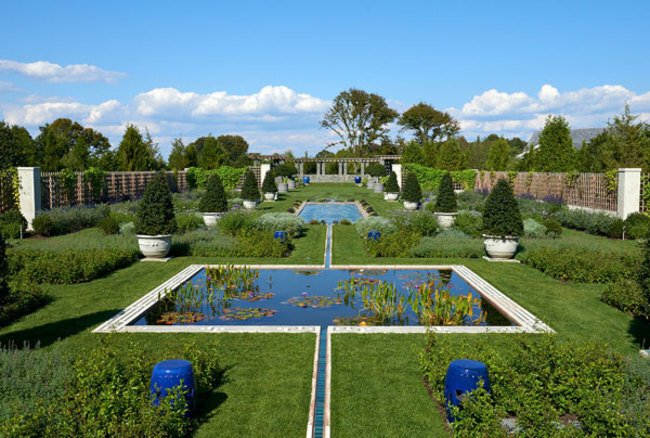 Frederick Law Olmsted Jr. designed the Blue Garden from 1912 to 1918 for the estate of Arthur Curtiss James and his wife, Harriet, in Newport, Rhode Island. The garden featured a unique planting palette of blues and purples “with some whites” and shades of green foliage. Opened to friends in 1918 with "The Blue Masque Celebration," the garden was heralded with numerous magazine articles and photographs depicting its architectural and horticultural riches. By 2012, the garden was almost forgotten and was subsumed under a thick covering of weeds and invasive trees. 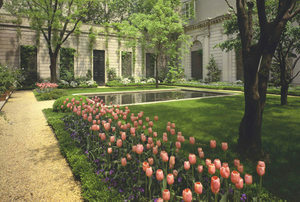 This lecture will present the story of both the creation and renewal of the Blue Garden, including how the restoration team used original plans, drawings, and photographs from the Frederick Law Olmsted National Historic Site Archives to reinterpret the design and rebuild the garden in all its glory, while meeting contemporary sustainable standards. Online registration has closed. Further registrations are available at the door. Sarah Vance holds a Master of Landscape Architecture degree with distinction from the Harvard University Graduate School of Design. 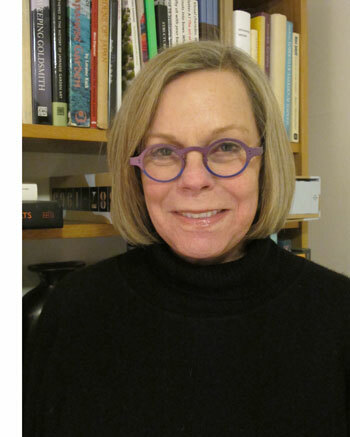 She was a partner at Peter Walker and Partners and has been art director for more than thirty books and magazines dedicated to landscape architecture published by Spacemaker Press. Before becoming director of the Blue Garden, Sarah was a senior associate at Reed Hilderbrand Landscape Architecture when, in 2012, they were hired by noted philanthropist Dorrance H. Hamilton to consult with the team that supervised and rebuilt the Blue Garden. Subsequent to the renewal project, Sarah was asked to assume the role of garden director. She now works with a group of dedicated gardeners to maintain the garden as an accessible and sustainable landscape. She edited the book, The Blue Garden, Recapturing an Iconic Newport Landscape, written by Arleyn Levee.